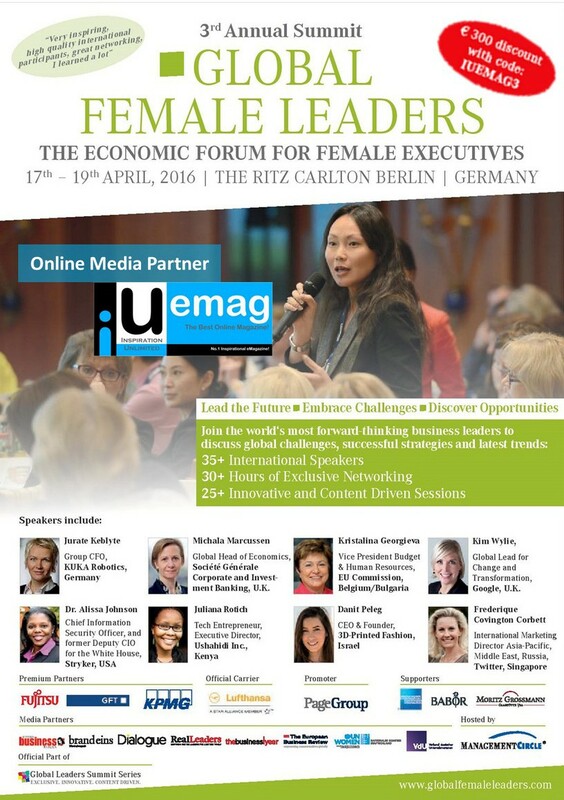 The Global Female Leaders Summit brings together high-achieving leaders from all over the world. It gives focus to new ways of thinking and presents aspects we think we already understand from a new and unfamiliar perspective. This summit enables women to start a dialogue; women who shape their societies and their organisations - women who make their mark. The Global Female Leaders Summit covers a wide range of aspects, from the vital questions of the world economy to initiatives which demonstrate exemplary actions in times of crisis. It directs attention to new markets and fields of action for companies and regions, enables the joint exploration of visions and strategies, and extends the boundaries of previous knowledge.